i will fully admit that when it comes to shopping and fashion, i love bags and i probably have way too many. it started in high school, when it was about either monogrammed liz claiborne bags or little vuittons (like the pochette). after my grandmother passed away, i inherited a few of her vintage gucci bags (seen here and here), and an addiction was born. it started out simply enough, with kate spade or coach. then when i moved to california and began to make more money, it was all about marc jacobs and balenciaga moto bags (see my collection in my glitter guide interview). i’ve since moved on to everyone from reed krakoff and alexander wang to céline and chanel. back then, it was all about an it-bag, even if it didn’t necessarily fit in my lifestyle. in the past three years though, i’ve really taken a good, hard look at all my bags, how much i’m using them, and selling those that don’t get a ton of love. i’ve also realized sometimes i don’t want a style that everyone else has (like the cult gaia arc or mansur gavriel bucket bag). there are lots of smaller and indie brands out today, many that have bags under $1000 or even $500. doing research for this post is how i came across the bag in the first photo, from little liffner. 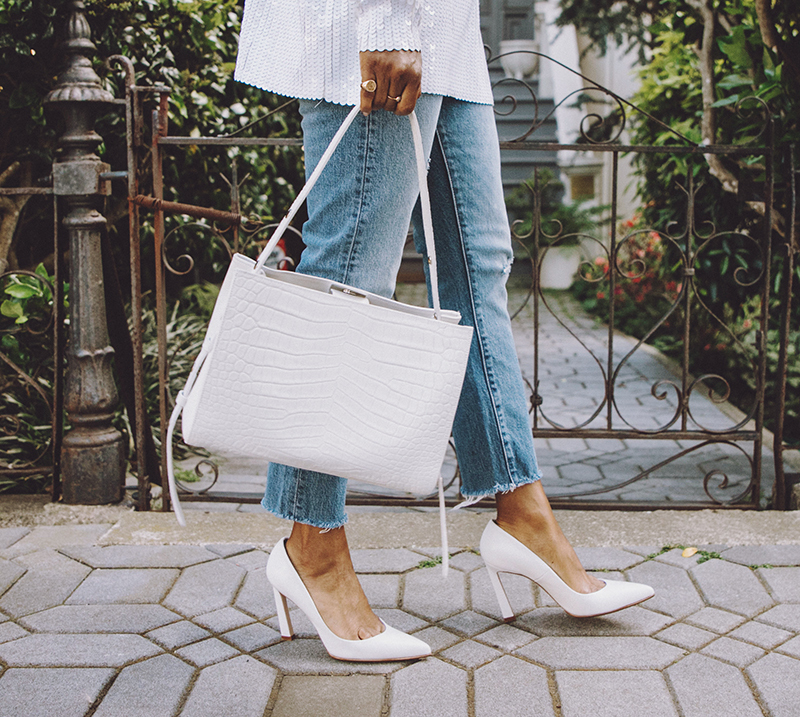 i really wanted a white bag that i could carry everyday, and in browsing need supply (one of my favorite sites for fashion and accessories, just about everything is under $400), i found this leather tote. i’m really into the faux croc embossing (makes it feel extra fancy) and the strap that i can make longer or shorter. this roundup has pretty much every style you need for spring and beyond, from work totes and vacation ready canvas or straw to suede clutches and of-the-moment pvc. 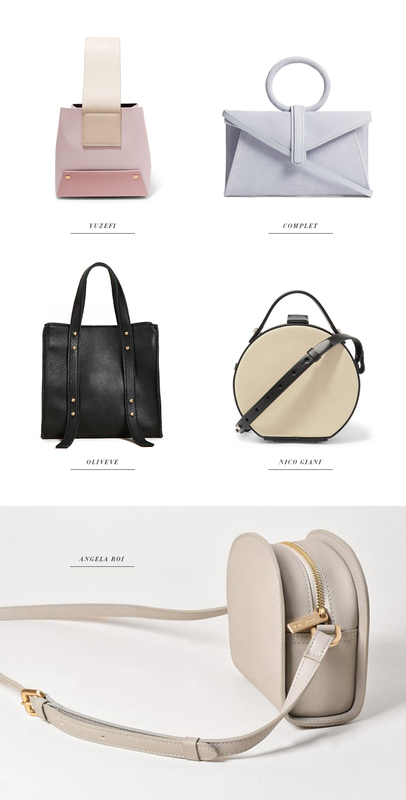 all are under $500 and most are made of leather (except angela roi, an ethical luxury vegan bag line). are you coveting a new bag for spring or summer? with so many great choices, it’s tough to choose! Previous Post 2018 met gala: heavenly bodies. Next Post currently coveting: mango sale picks.